OSHA recently released its Recommended Practices for Safety and Health Programs, a sorely needed update to guidelines the Agency first published in 1989. OSHA’s original publication had served as a valuable resource to employers for nearly three decades, but was becoming increasingly out of step with the realities of the modern workplace. The new document updates OSHA’s recommendations in an effort to reflect this evolution, with particular attention to increasing workplace diversity, the unique needs of temporary and contract employees, and greater recognition of the role of continuous improvement. The new document is significant, as it is the first update to the guidelines in decades, revealing that OSHA sees urgency in providing information that can better protect the safety and health of today’s workers. Let’s explore some of the major changes and additions. Near the beginning of the document, OSHA describes how the economy has shifted from a manufacturing base to a service base, and that greater automation and technological integration are introducing new and unforeseen hazards. Additionally, workplace diversity has increased dramatically in terms of culture, language, gender and age, resulting in people from diverse backgrounds working together more than at any time in the past. Special challenges arise with temporary or contract work in the so-called “gig economy,” where there is not only greater diversity, but also a more complex employer-employee relationship involving both staffing companies and host companies. (challenges OSHA has also recently addressed through its Temporary Worker Initiative). Therefore, the best practices for safety and health programs need to reflect the reality of workplaces as they exist today. OSHA’s new guidelines are specifically designed to meet the challenges of the modern workplace, and encompass each stage of the process — from acquiring the management buy-in necessary to implement a workplace safety program, to hazard identification, assessment and control, and on to education and program improvement. The document addresses the core elements of an effective safety program, while providing some concrete action items to help achieve success in each area of implementation. Readers who compare the current version of the guidelines to the 1989 original will find several similarities, since many of the core elements of workplace safety programs, as well as some of the recommended best practices remain the same. However, they will also notice some significant additions. For example, OSHA specifically highlights the importance of worker participation. The agency stresses the development of safety programs in which “workers are involved in establishing, operating, evaluating and improving the safety and health program.” This is followed by advice on how engage your workers by making participation accessible to all employees regardless of language barriers or differences in literacy, and having clear anti-retaliation policies to reinforce that employee input will be always be welcomed, and never punished. The new guidelines also address the growing complexity of employer-employee relationships, including examples in which a contractor or staffing agency provides workers to complete tasks that are under the control of the host employer. In these cases, OSHA advises that the responsibility for general safety training usually belongs to the staffing agency, while specific hazard-awareness and work-practice training usually falls under the responsibility of the host-site company. Regardless, OSHA stresses that communication and coordination between staffing agencies and host employers is essential to ensure that all hazards are properly anticipated and that no gaps in training occur. The revised guidelines call out the vital role that continuous improvement plays in ensuring the success of a workplace health and safety program. OSHA points out that active monitoring of both lagging indicators (forensic metrics obtained after an incident has already occurred) and leading indicators (predictive metrics used to help prevent incidents) are central to identifying inefficiencies and maintaining an effective program. Program managers must periodically review that the different elements of the system are operating as intended, and promptly resolve any deficiencies. Overall, OSHA emphasizes that safety hazards can exist in all workplaces, even those previously considered “safe” because they were non-industrial (e.g., healthcare and retail). The agency is also careful to note that “one size does not fit all” when it comes to solutions. Developing a health and safety program that is specific to your workplace requires a greater level of planning and investment of both time and resources, but, the payoff in terms of improved workplace morale, employee recruitment and retention, and financial returns resulting from better productivity could be more than worthwhile in the long run. To support this, OSHA presents data showing that facilities that implemented safety and health programs, using the recommended best practices outlined in this guide, reduced their overall number of workers’ compensation claims by 52 percent and the average cost per claim by 80 percent, all of which also improves EHS culture and perceptions of the corporate brand. The take-home message is that safety programs aren’t just about avoiding the negative, but also achieving the positive. 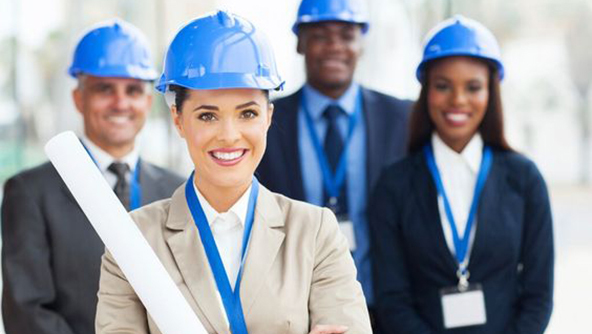 VelociyEHS has the solutions that can help you maintain an effective safety and health program that addresses the unique characteristics of the modern workforce. Our powerful Audit & Inspection tool can help you easily assign, schedule and follow-up on tasks required to keep your program running smoothly, while simultaneously driving employee participation and engagement. You can also more effectively handle training requirements with our Training Management solution that provides content in multiple languages, as well as with the visibility and control needed to manage training requirements for all employees, including temporary and contract workers. With these tools in place, you’ll be better positioned to follow the guidelines presented by OSHA and achieve an even greater level of excellence in workplace safety. EH&S Blog Health & Safety OSHA Revises Recommended Practices: What’s Changed?